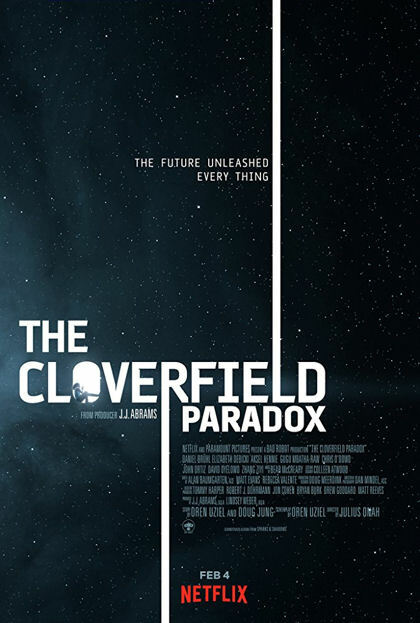 In 2016 renaissance man J.J. Abrams came across a film he felt worthy of attaching his name to, changing the ending and including it in the same world of his 2008 first box office release Cloverfield. 10 Cloverfield Ln. was a great success largely due to a wonderful performance of John Goodman. In 2018, Abrams does it again to an interdimensional space film from Nigerian director Julius Onah. Unlike the brilliantly advertised release of the theatrical Cloverfield or follow-up 10 Cloverfield Ln, Paradox seems to have happened last minute with a quick Super Bowl announcement then straight to streaming release. The paradox of this Cloverfield movie appears to be taking on the creation of everything we’ve seen in the previous two films. Creating multiple dimensions though, who’s to say all the events are from the same one? A world falling apart below them is briefly touched upon but the majority of this film is dialogue on a spaceship as an extensive plot of multiple dimensions unfolds. A multi-million dollar budget allows a nice looking straight to VOD movie to be made. The action is limited but all looks good including an impressive and shocking amputated arm. I’m not the biggest sci-fi fan but I did enjoy the previous two Cloverfield Universe films. I found Paradox a bit boring and a slight disappointment. Then that ending made everything I’d sat through pointless. All the compliments of how good the sets and CGI looked can be thrown out the window with a SyFy worthy finale that just pissed me off that I’d wasted my time on this.